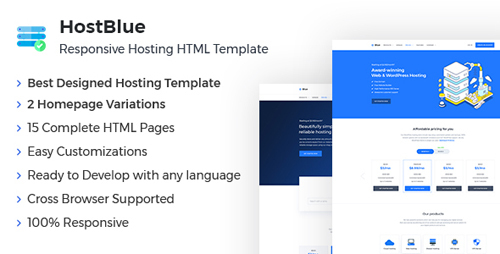 HostBlue is a Responsive Hosting, Domain and Technology HTML Template for Hosting or Technology website. HostBlue is fully responsive, made with Bootstrap framework. Well planned UX is developed in Spark very creatively so that you can easily put this design to your website. We have included all the essential pages for a hosting website. No more complex thing now. Just change your Text, Image and Colors and get your website. Everything is already made for you!